Over the summer holidays, I made it my mission to do as many fun things with Ebony as possible [on an unrelated note, I’m now very skint]. We did quite a few new things, including a visit to the cinema (Inside Out is amazing) and a trip to our nearest ice rink (not near at all). We’ve been spending quite a bit of time with my sister too. After two years abroad, Rosie has now firmly settled into the role of Ebony’s favourite person. One day we decided to take Ebony bowling. She’d never been before and it seemed like a good ol’ fashioned school holiday activity. 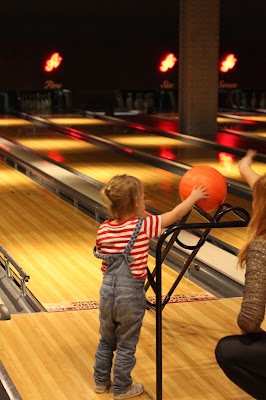 There’s no bowling alley near us, and since we were meeting my sister, we decided to go to All Star Lanes in Manchester. Situated on Deansgate, it was easy to get to and handily close to the Museum of Science and Industry where we decided to spend our morning. There is a restaurant at the bowling alley, but a quick glance at the menu didn’t reveal much in the way of vegan options so we decided to grab lunch at Dimitris instead. I over ordered for Ebony and ended up with a little doggy bag of food to take away (and throw away, because it turned out Ebony was not a fan of cold food). All Star Lanes wasn’t quite like the bowling alley I remember from my youth. There were no arcade games, the drinks didn’t come in paper cups, and it wasn’t that busy. In fact, we were the only customers when we arrived. By the time we left, I think about two of the other lanes were in use. 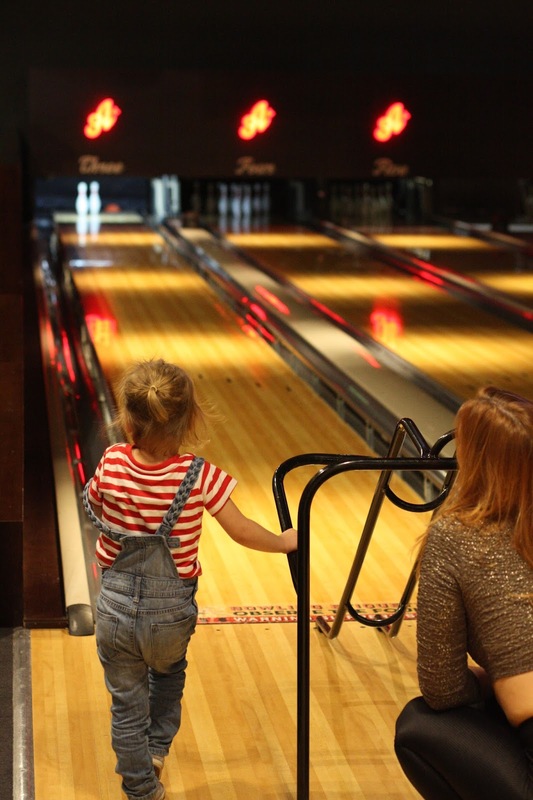 It’s much smaller than a typical bowling alley, and has only around six lanes, meaning you can enjoy a more intimate bowling experience. 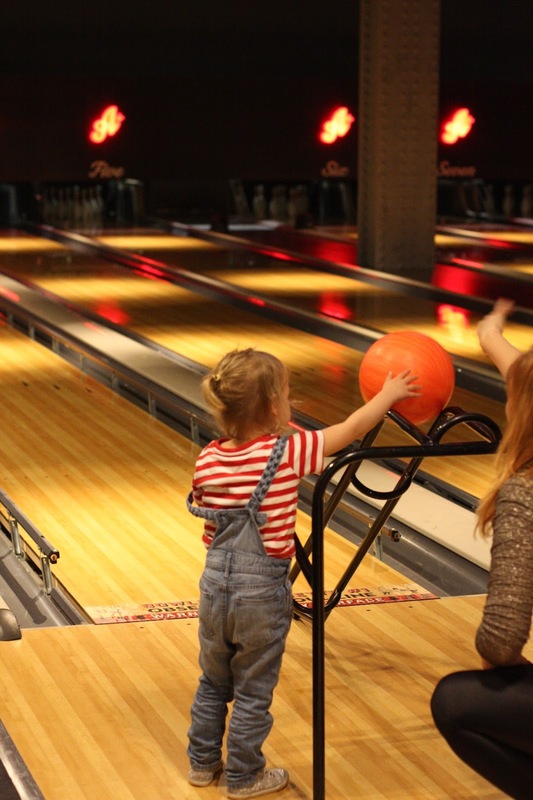 I can’t remember the last time I went bowling, I’m pretty sure it must have been in my teenage years (many centuries ago), but Laurie insists we have been since then. I assumed we’d have to have the bumpers on, but it turns out technology has improved since the 1990s, and now they can programmed to appear and disappear between players as if by magic. 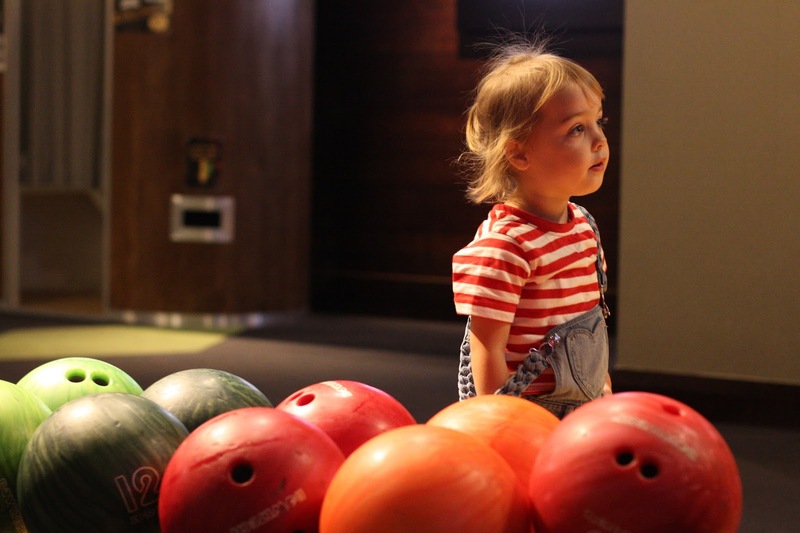 Which is great and all, if you can bowl, which I can’t. I had been hoping to exploit the bumpers for myself, but no such luck. They had the ramps to help kids bowl, Ebony did have a go without but it was quite a tense fifteen minutes while we waited for the ball to slowly edge its way towards the pins. She needed to be lifted up to place her ball on the ramp, but could push it off with enough force that she managed a few strikes. I didn’t have quite so much luck, but can confirm that the television screens have a huge variety of animations to show when your ball ends up in the gutter. Ahem. I did actually manage to get one strike, but it was on the very last go. I forgot you have three turns so have told Ebony it was her go, she proceeded to get a strike. I didn’t tell her my mistake. It didn’t make a difference to the scores, she won by miles anyway. 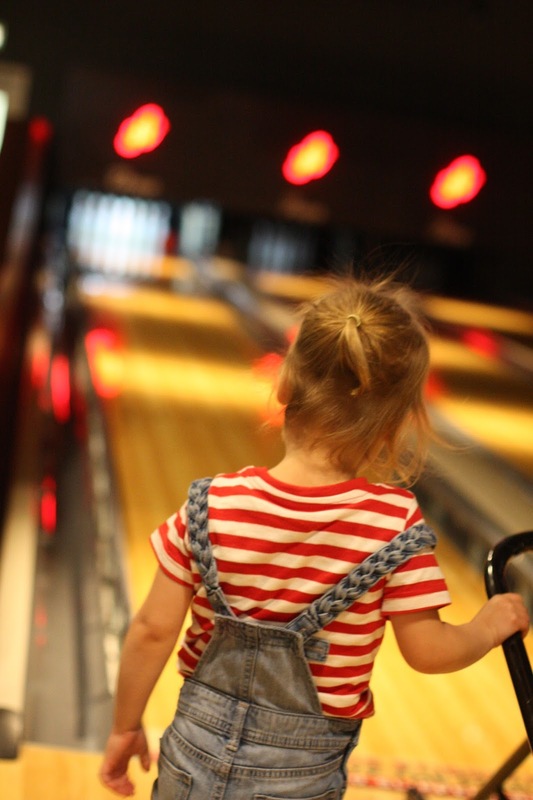 I want to blame it on the bumpers, but they weren’t up when she scored me a strike. We originally booked for one game but ended up staying for a second. It was not cheap (for three of us to have two games and a drink it cost £46) but was a much nicer experience than the bowling alleys I have visited in the past. 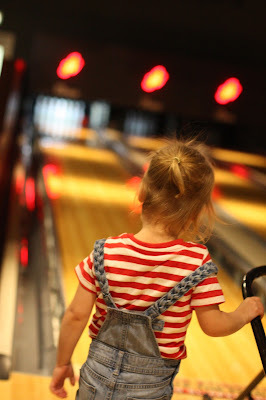 It was fun to take Ebony to a quieter bowling alley, and I will definitely be going back.